Is it time to bust out the Christmas music already? It’s never too early if you ask me and apparently I’m not the only one. 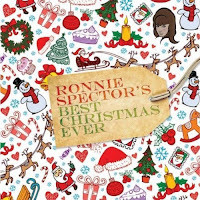 Girl group powerhouse and all around music icon Ronnie Spector is back in the Christmas music game with her new holiday offering, Best Christmas Ever. With five newly recorded Christmas songs, Ronnie is ready to spread some more yuletide cheer and be a part of your holiday soundtrack once again. 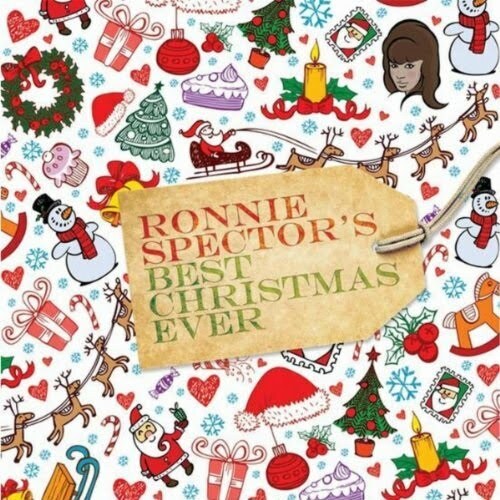 I say once again because Ronnie already has a few Christmas classics under her belt thanks to the legendary 1963 album, A Christmas Gift For You From Phil Spector. On that album, The Ronettes contributed what would become some of the best loved versions of “Frosty The Snowman,” “Sleigh Ride” and “I Saw Mommy Kissing Santa Claus.” While those songs have dominated the radio waves, department stores, movies and festivities of the last 40+ holiday seasons, Ronnie is looking to inject some fresh tidings of comfort and joy with the new songs on Best Christmas Ever. “My Christmas Wish” opens the album and captures that New York rock n’ roll Christmas vibe perfectly with boogie piano, electric guitars, a bright horn section and Ronnie’s signature voice. The bouncy, bluesy shuffle sounds like an E Street Band outtake and will have you mentally strolling through a snowy Times Square in no time. Just like with any other good, rockin’ Christmas number, the wish in question is not for anything material, but a plea for Santa to help bring back a lost love. “My Christmas Wish” will fit snuggly alongside “Please Come Home For Christmas,” “Christmas (Baby Please Come Home)” and “Santa Bring My Baby Back To Me” on holiday playlists everywhere. The upbeat, horn-driven vibe is revisited in “Best Christmas Ever” as well. These two tracks are definitely ready to enter the holiday radio realm and will most likely be heard for Christmases to come. The other three tracks display Ronnie’s creative ability to easily shift between musical genres. “Light One Candle” is an uplifting piano ballad with a nice string section, “It’s The Time (Happy Holidays)” has a groovy bossa nova feel and “It’s Christmas Once Again” is a slow, doo wop flavored track that was originally performed by Frankie Lymon and The Teenagers. From her heartfelt vocal delivery to the handwritten letter and childhood picture in the album’s liner notes to the spoken word memories she shares in two of the songs, Ronnie has done a great job making Best Christmas Ever feel every bit as personal as it is festive.